FORMER Finance and Economic Development Minister and veteran educationist Dr Samuel Creighton Mumbengegwi has died. He was 74. Dr Mumbengegwi, who also served as Higher and Tertiary Education Minister, among other portfolios, died in Harare yesterday morning after a long illness from an undisclosed ailment. He was brother to Foreign Affairs Minister Cde Simbarashe Mumbengegwi. At the time of his death, Dr Mumbengegwi, who was also former Zanu-PF Masvingo provincial chairman, was a full time senior lecturer at Great Zimbabwe University in the Faculty of Education. Zanu-PF Secretary for Information and Publicity Cde Simon Khaya Moyo said the party and Masvingo Province had been robbed of a committed leader. “Zanu-PF mourns the untimely death of one of its own, the late Dr Samuel Mumbengegwi, a well-known personality through his deeds. Cde Khaya Moyo added: “He was at one time a distinguished Cabinet minister and chairman of Masvingo Province. “He was also a member of the National Consultative Assembly and debated with exceptional precision. We shall miss his wisdom and firmness of purpose,” he said. Great Zimbabwe University vice chancellor Professor Rungano Zvobgo confirmed the death, saying his institution had lost a distinguished and reputed scholar. “We received sad news that Dr Mumbengegwi died today (yesterday) in the morning and we are waiting to hear funeral arrangements from his family,’’ he said. “As Great Zimbabwe University and Masvingo Province, we have lost a reputed educationist, who also once served as the Minister of Finance in the Government of Zimbabwe on top of other portfolios. “Dr Mumbengegwi was a very hard working and committed lecturer at Great Zimbabwe University in our Faculty of Education and he will be dearly missed,’’ said Prof Zvobgo. Masvingo Provincial Affairs Minister Senator Cde Shuvai Mahofa described Dr Mumbengegwi as a dedicated professional and a politician who was a pillar of the ruling Zanu-PF party in the province. She said Dr Mumbengegwi’s death came as a great shock to her and many people in Masvingo, who expected the former Cabinet minister to recover after a long illness. Cde Mahofa said the Masvingo provincial leadership was waiting for a formal report on Dr Mumbengegwi’s death from his family so that they could write to the Politburo requesting for the late Finance Minister to be recognised for his role in the development of Masvingo Province, both in Government and Zanu-PF. “We are waiting for the Mumbengegwi family to formally write to us about his history so that the Zanu-PF leadership in Masvingo can write to the Politburo from where we will be informed about the level of recognition that will be conferred to Dr Mumbengegwi. “His family will be writing to us today and we hope to also write a formal request to the Politburo as soon as possible,’’ she said. She said Dr Mumbengegwi’s death had left a very big gap in both Government and Zanu-PF in the province. Senior Zanu-PF Politburo member in Masvingo Cde Josaya Hungwe said the province was now poorer without Dr Mumbengegwi. “I am coming out of a meeting right now and I will start calling my other colleagues in Zanu-PF in Masvingo so that we decide on the level of recognition that we want to be conferred on Dr Mumbengegwi,’’ he said. Cde Hungwe said the name Samuel Mumbengwi was synonymous with development in Masvingo Province. “There is no one who did not know the name Mumbengegwi (Samuel) in Chivi District and Masvingo Province. Cde Hungwe hailed the late Dr Mumbengegwi for living a life of humility despite his lofty achievements, adding that the late Finance Minister would also be remembered for leading a Christian life. Dr Mumbengegwi was born on October 23, 1942 and served as Minister of Higher Education for some time. He was appointed Minister of Industry and International Trade in 2002 before serving as Minister of State for Indigenisation and Empowerment in 2005. Dr Mumbengegwi was appointed Minister of Finance and Economic Development in 2007, taking over from Dr Herbert Murerwa. 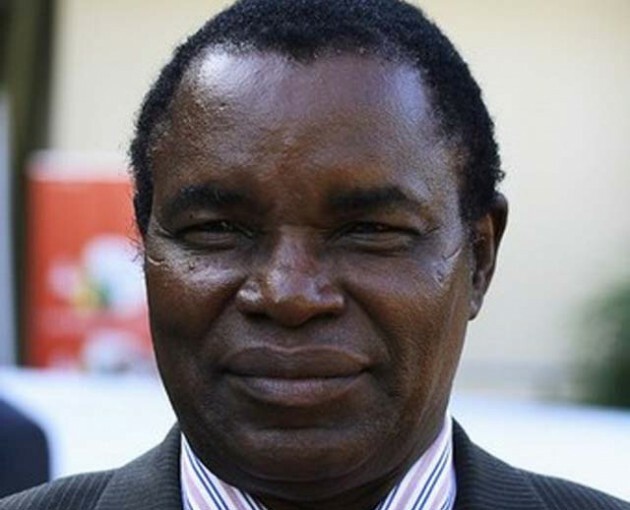 He was dropped from Cabinet in January 2009 after losing the Chivi-Mwenezi Senate seat in Zanu-PF primary elections ahead of the 2008 harmonised elections.